This Celia oval 12 inch oyster faux silk Empire table lamp shade with contrasting woven trim is handmade. 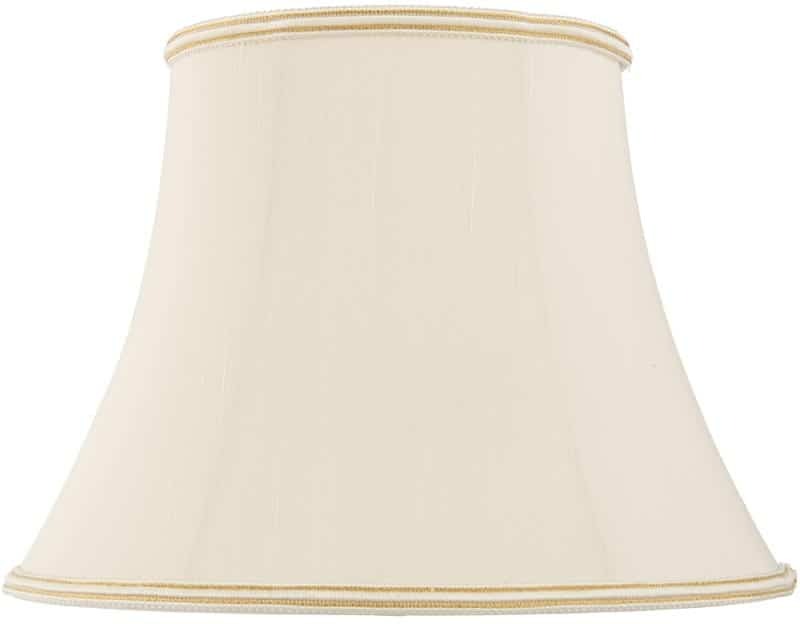 A classic oval 12-inch small to medium table lamp shade designed in the traditional Empire design with a woven trim at the top and base of the shade. This oval lamp shade has a top diameter of 130mm x 180mm and base diameter of 230mm x 310mm.